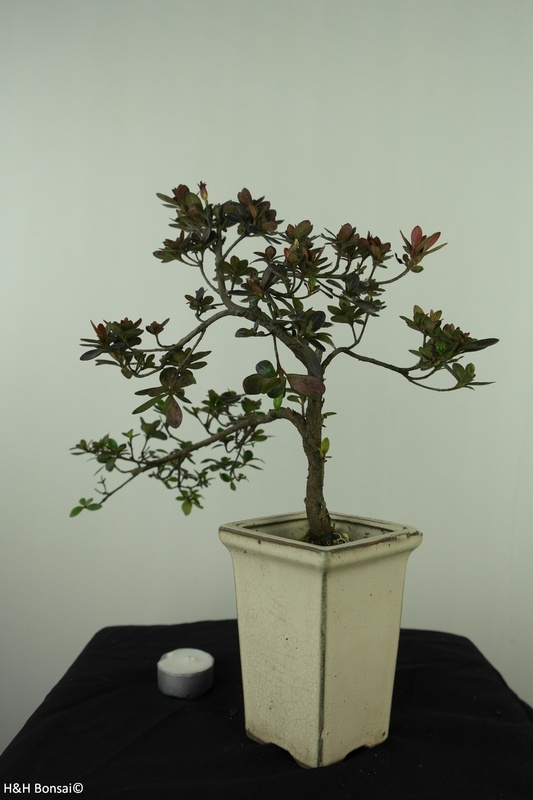 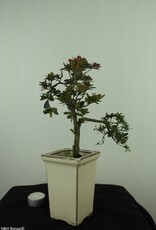 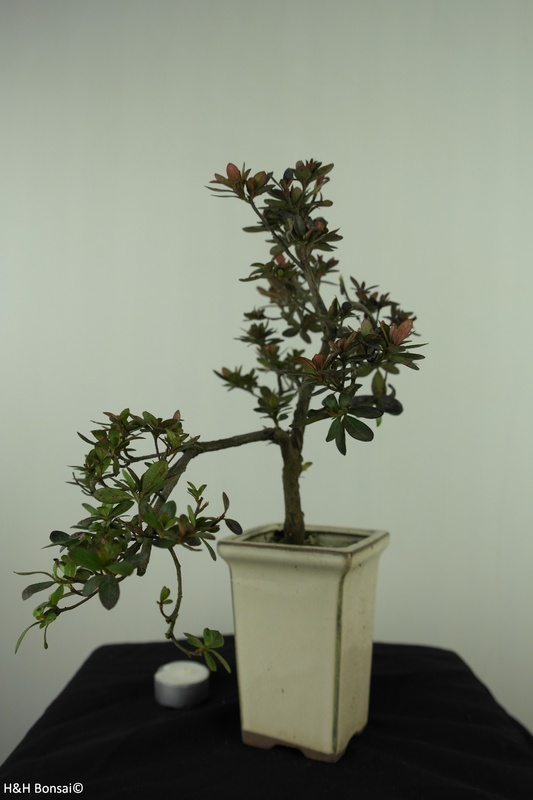 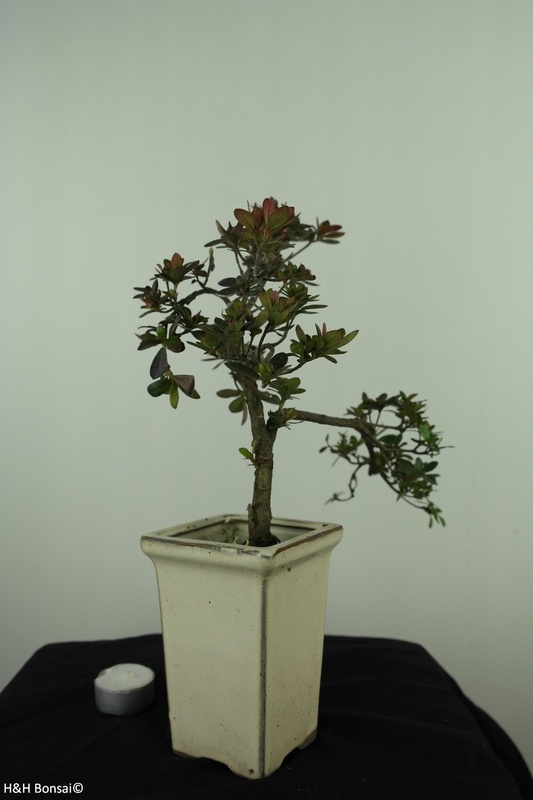 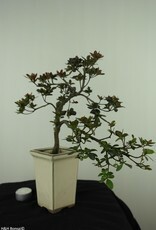 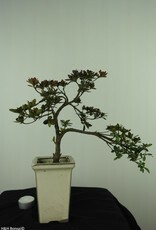 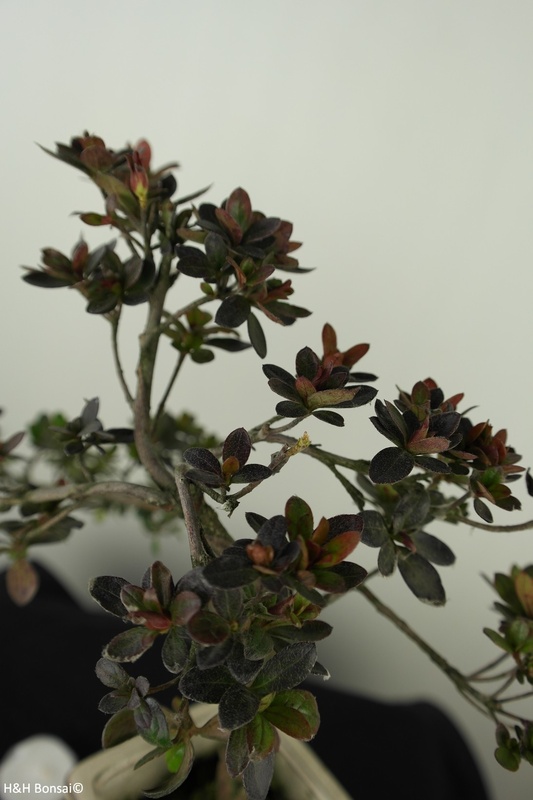 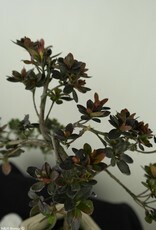 This Azalea bonsai tree is suitable for outdoors and can withstand several degrees of frost. 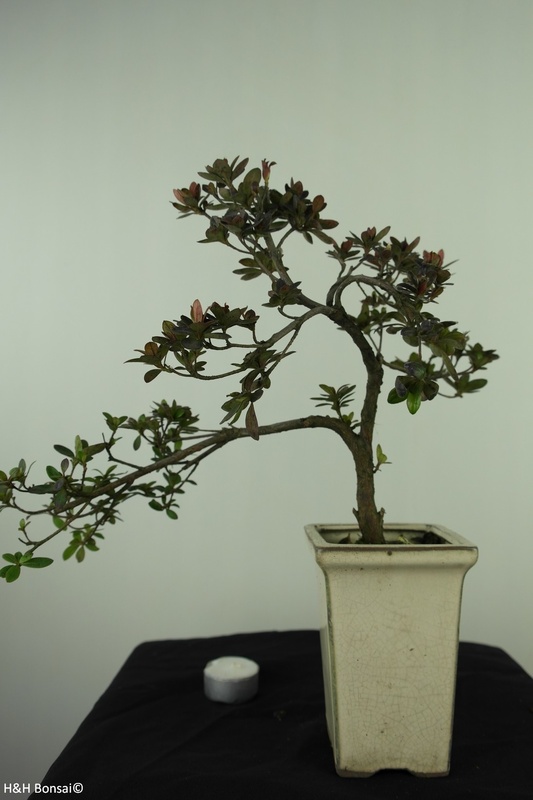 which does not exceed 7°C. 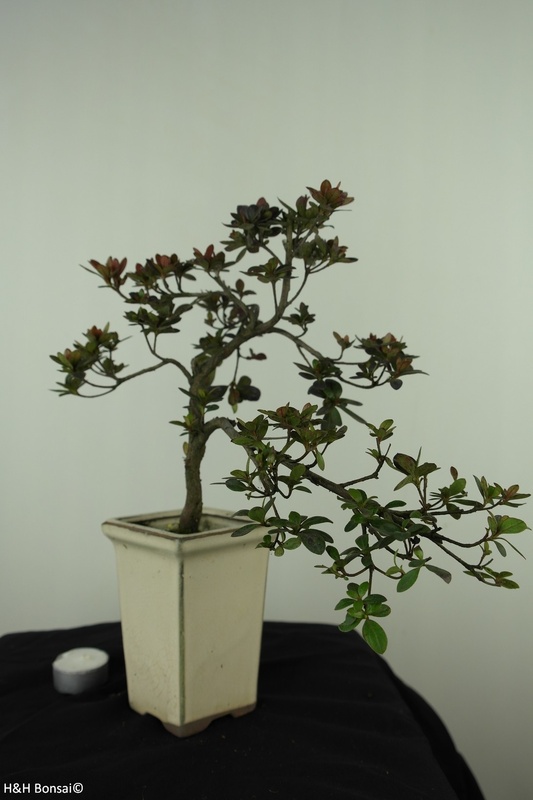 Azalea prefers a sunny spot. This Azalea blooms with pink/purple flowers.